Another solid quarter for the console maker. Nintendo's books are healthy, but the company still has work to do. The house of Mario sold 1.88 million Switch consoles last quarter, bringing total sales up to 19.67 million. These figures, while decent, pale in comparison to the 2.93 million and 7.23 million sales reported in its previous two earnings. The slowdown can be attributed to the time of year -- it's no longer the holiday season -- and the limited software Nintendo has released in 2018. Beyond Octopath Traveler, Fortnite and Mario Tennis Aces, there have been few tentpole titles. Instead, the company has relied on Hollow Knight, Semblance and other indies to keep the Switch fresh. The Nintendo Switch is still in a great position, though. The console-handheld hybrid has outsold its predecessor, the financially disastrous Wii U, and amassed a decent catalogue of exclusives, including Super Mario Odyssey, The Legend of Zelda: Breath of the Wild, Splatoon 2 and Mario + Rabbids Kingdom Battle. And, more importantly for Nintendo shareholders, the system is still making money. Today, the company reported revenue of 168 billion yen (roughly $1.5 billion), up from 154 billion ($1.37 billion) during the same quarter last year. Operating profit, meanwhile, hit 30.5 billion yen (roughly $274 million), up from 16.2 billion yen in Q1 2017. As part of its earnings, Nintendo released some software figures too. The cardboard-centric Nintendo Labo has sold 1.39 million units since its launch in April. 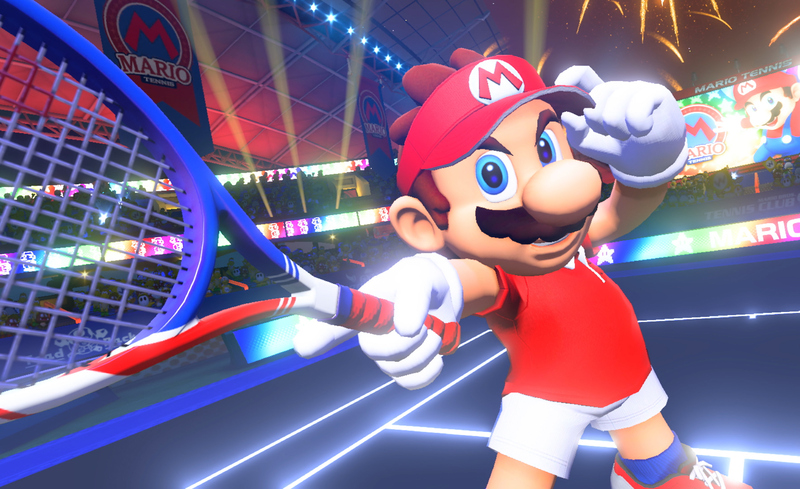 Donkey Kong Country: Tropical Freeze shifted 1.4 million units, while Mario Tennis Aces -- no doubt timed to coincide with Wimbledon -- reached 1.38 million sales. Smartphone titles, meanwhile, including Animal Crossing: Pocket Camp, Super Mario Run and Fire Emblem Heroes, brought in 9 billion yen (roughly $80 million), up 0.4 percent on a year-to-year basis. Nintendo says its new mobile RPG, Dragalia Lost, will launch "this summer," followed by Mario Kart Tour later in the financial year. Back in April, Nintendo predicted that it would sell 20 million Switch consoles between April 2018 and March 2019. To hit this target, the company needs to do much, much better in the next few quarters. Some blockbuster exclusives are on the way, including Super Smash Bros. Ultimate and the beginner-friendly Pokemon: Let's Go (Pikachu and Eevee). And of course, Switch sales will likely spike as the Christmas period draws near. To maintain the console's momentum, though, Nintendo needs a steadier flow of first-party games. Indie titles are fantastic, but it's the company's own software that will keep the system flying off store shelves. Metroid Prime 4 and Fire Emblem: Three Houses can't come soon enough.